Surf fanatics all over Europe can barely hold back the tears when the cold of winter becomes severe and they have no choice but to put their surf boards away until late spring… unless, of course, they decide to head to Tenerife in search of outdoor leisure pursuits. In the south of the island alone, beaches such as Las Palmeras, Punta Blanca and El Conquistador offer ideal conditions for surfing, in addition to average temperatures of between 20°C and 25°C, magnificent facilities, restaurants and a surfing atmosphere 365 days a year. Tenerife is a surfers’ paradise even in winter, but surfing is not the only water sport available to visitors; they can also enjoy sailing, rowing, scuba-diving (thousands of people all over Europe choose this quiet island to learn to scuba-dive), windsurfing, paddle surfing and kayaking, and they may even be lucky enough to spot dolphins or whales! Indeed, Los Gigantes has become a popular destination for paddle surfers the world over, just as El Médano is for windsurfers who love the combination of wind and fast waves. Therefore, it will come as no surprise to learn that Alexandra Rinder, the youngest world champion in the history of bodyboarding, discovered her passion for this sport in beaches such as La Caleta. And she’s not the only one: Olympic athlete, Alicia Cebrián, owes her passion for sailing to the coasts of Tenerife. 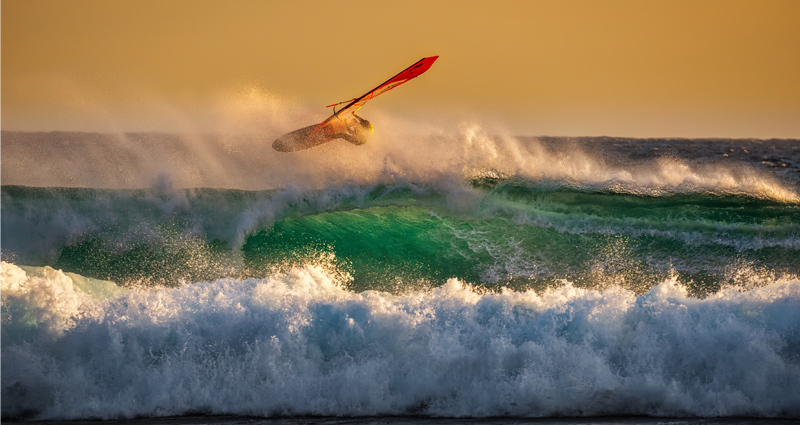 If you take to the waves like a duck to water, Tenerife is the perfect place for adrenaline-fuelled activities in winter while enjoying mild temperatures.